Son Peretó was rediscovered in 1912 in a field near the town of Manacor. The first archaeological work uncovered a basilica-shaped church 21 meters long and 14 meters wide, with three naves separated by rows of columns. Subsequent excavations took place in 1967 that focused on the mosaic floors (now housed in the Manacor Historical Museum), and in the early 1980s. If you want to learn about excavating skeletons, this is your dig. 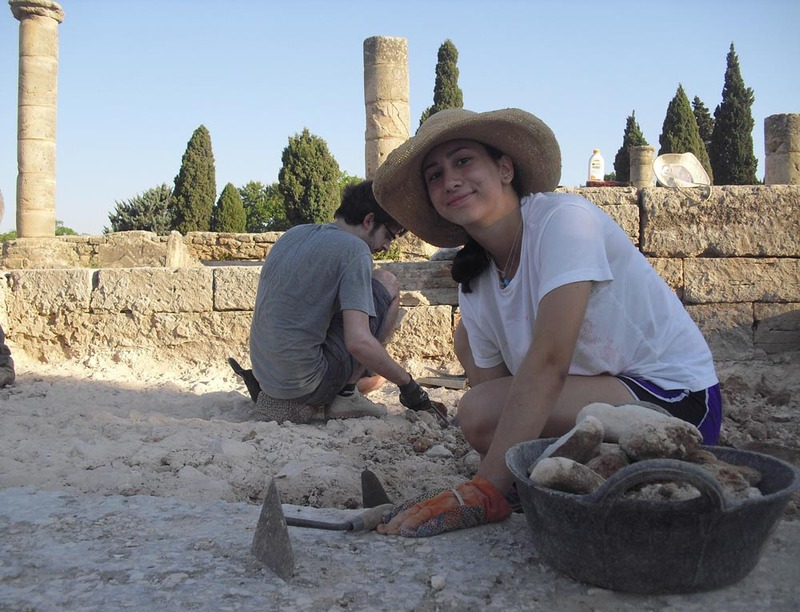 ArchaeoSpain participants will be joining the ongoing archaeological excavation and restoration of the Early Christian and Byzantine settlement of Son Peretó, located in the eastern part of Mallorca, the largest of the Balearic Islands. Son Peretó, occupied between the 5th and 7th centuries, is one of the most important Byzantine sites on the islands and a notable example of Early Christian architecture. Archaeologists have already uncovered a church, a baptistery with two baptismal basins, and two sectors of adjacent rooms used for housing and funeral rites. The current project, managed by the Manacor Historical Museum and the University of Barcelona, began in 2005, and since then our goal has been to preserve and restore the ruins uncovered during the 20th-century excavations, especially the foundations of several walls and untouched graves. So far the graves uncovered have been found in excellent condition. The group will be staying at a traditional house in the village of Son Servera, next to the site. Participants will share a bedroom with another person. The house also has a living/dining room, kitchen, bathroom, and laundry machine. All bedding is provided. Food for breakfast will be provided at the house, lunch will be eaten at a restaurant in Manacor, and we will prepare our own dinner at the house. We will have a mid-work snack on site. We believe that visiting the region’s historical sites is essential to understanding the context of the archaeological work at Son Peretó. Therefore the team will visit several nearby Talayotic, Roman, Byzantine, and Medieval sites of interest. The capital city of Palma is about 45 minutes from Son Peretó and the group will spend a day there. Plus we’ll join the group leader as he builds human towers called castells, an island tradition. And of course we will frequent the island’s excellent beaches. The excursions may change depending on the excavation schedule and unforeseen events. • Roman city of Pollentia. The most important Roman site in Mallorca, next to the Medieval, walled town of Alcudia. Next topic: "2017 Dig in the Roman City of Sanisera (Menorca, Spain) only $750 (one session, 18 days)"
Previous topic: " ITALY. MONTE TESTACCIO IN ROME. 2017"